She started honing her skills, control and stamina years before she started law school. When she started speed skating. You read that correctly, the Apolo Ohno/Bonnie Blair kind of skating. It’s a sport that requires practice, focus and patience. When you skate you skate in packs; and being out front is the hardest job, so Sarah learned to sit in the back and wait for the best time to make a move. She has translated these tactics to her law practice where her clients are being sued by professionals, the kind that think they always have to be out front. Sarah knows how to watch a case and wait for the best time to get in the game. Sarah has devoted her career to educating others and helping people solve problems. She knows there’s no personal touch to the legal process unless someone has a lawyer. She started out as a teacher and coach, and then took a position as an assistant to a blind attorney. That attorney’s strength and intelligence, and her creative, thoughtful and unique approach to the law inspired Sarah to begin her own career as a lawyer. Working at Consumer Law Group in Rocky Hill, Connecticut for four years, Sarah focused on representing consumers who were experiencing personal financial crises- debt collection harassment, identity theft, predatory lending- so when she opened her own office, expanding to defending consumers being sued by their credit card companies and representing homeowners who are in foreclosure was a natural transition. Sarah has taken it to a new level, representing only consumers with money issues. She was a member of Connecticut’s Bench-Bar Foreclosure Committee for its first seven years, helping draft the foreclosure mediation rules and procedures to involve more homeowners in saving their homes, and the Bench-Bar Small Claims Committee, to give clarity to small claims proceedings and force debt collectors to provide more than a minimum of evidence to win a case. Sarah graduated from Colby College in Maine in 1992 and from the University of Connecticut School of Law in 2002. She is a member of the National Association of Consumer Advocates, whose members pledge to never represent business interests that are contrary to the rights or interests of consumers. She regularly speaks at local high schools, community colleges, corporations, UConn Law School’s consumer law class and local non-profit agencies about credit and debt issues. Sarah was the Hartford County Bar Association’s 2011 Pro Bono Award Recipient. 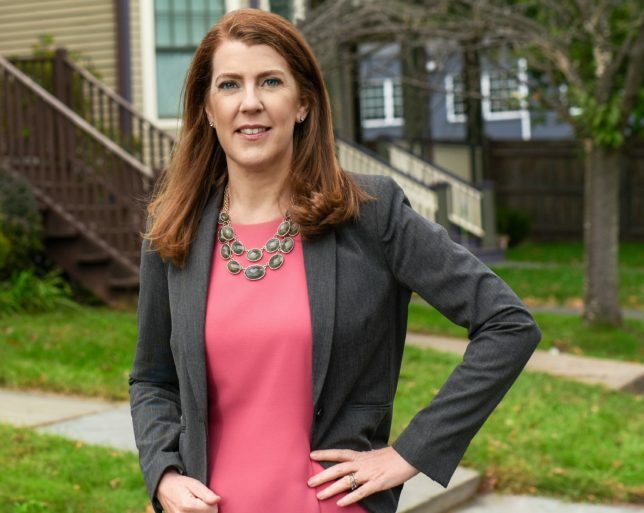 Sarah Poriss, Attorney at Law, LLC is the largest woman-owned foreclosure defense firm in Connecticut, providing homeowners with quality legal counsel in foreclosure mediation and litigation.